Come 2021, American cities will be able to look to New York to determine whether traffic can be reduced if you tax it. The fees will be set by the same authority that runs the subway, with the cash intended for much-needed capital improvements (including that subway). Flashback: Michael Bloomberg tried and failed to make this happen a decade ago. Felix slacks: The main thing about the New York plan is it gives policymakers a dial they can turn. You just want to implement the mechanism in the first instance, then you can start worrying about the optimal price. What's next: "Congestion pricing, as New York has proposed, uses tolling to dissuade vehicles from entering certain districts during select hours," Axios Expert Voices contributor Jim Barbaresso wrote in March. "Tolling [autonomous vehicles] could encourage shared rides and reliance on other transit options, which would keep congestion in check. It could also serve to replace funds from fuel taxes, which won’t apply to electrically powered AVs." The bottom line: Plenty of cities will be watching to see whether the potential gains from congestion pricing are worth the political headache that comes attached. Go deeper: Charles Komanoff on why exemptions from congestion pricing are a bad idea. 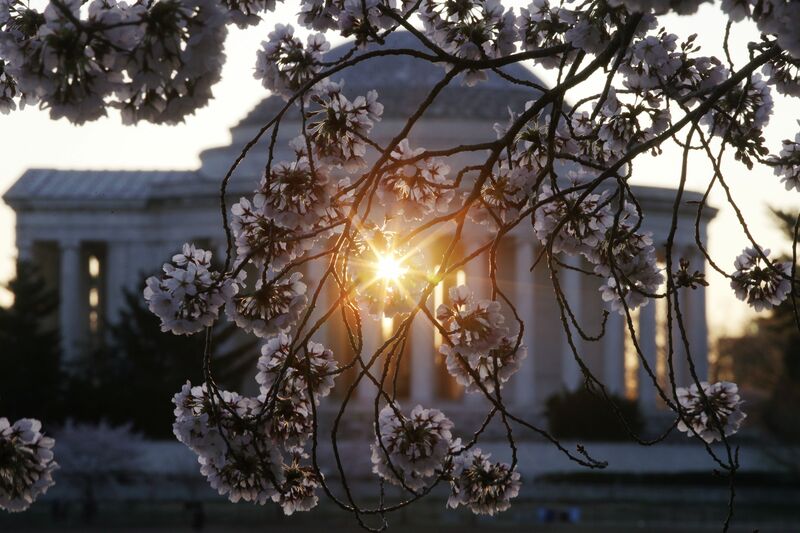 With the Jefferson Memorial in the background, cherry blossoms are in full bloom at the Tidal Basin today. Former Vice President Joe Biden's spokesman said some of the photos being circulated on the internet that allegedly depict Biden inappropriately touching women and children have been mischaracterized and photoshopped, calling them "smears and forgeries." A Connecticut woman says Biden touched her inappropriately at a political fundraiser for Rep. Jim Himes (D-Conn.) in 2009, the Hartford Courant reports. A White House whistleblower says 25 denials for security clearance applications were overridden by the Trump administration. Go deeper. Facebook CEO Mark Zuckerberg says the tech giant may actually begin paying news publishers to distribute their content, and it may do so in a new, dedicated tab for quality news on its site and app. Details. Health provider Kaiser Permanente paid Baltimore Mayor Catherine Pugh more than $100,000 from 2015 to 2018 for 20,000 copies of her children's books, the Baltimore Sun reports. Pugh will take a leave of absence. The L.A. Times gives the N.Y. Times a delicious dish of April Fools' revenge for years of much-maligned restaurant reviews and food reporting. 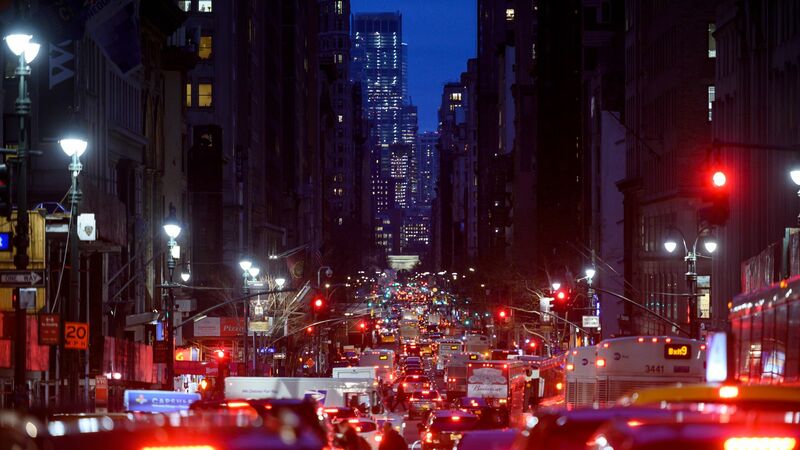 "The bright lights of New York City beckon to the restless and the hungry. In the city that never sleeps, as they say, the marquees of Times Square nearly make one forget the concrete dystopia of what is seemingly an unlivable urban wasteland." "Surrounded by rats, black trash bags and graffiti-tagged storefronts on Broadway Street, New York’s primary thoroughfare, I wondered aloud if I would be able to find a decent meal in what was surely a culinary heart of darkness." "In Los Angeles, we’re spoiled by the breadth and quality of our dining options. ... But what about New York, a largely culturally bereft island." "Sure, we’ve all heard of hot dogs, a staple of every New Yorker’s diet, famously gnawed on by rodent and human alike in that 'toddling town.'" "But as it turns out, there’s more. A lot more."